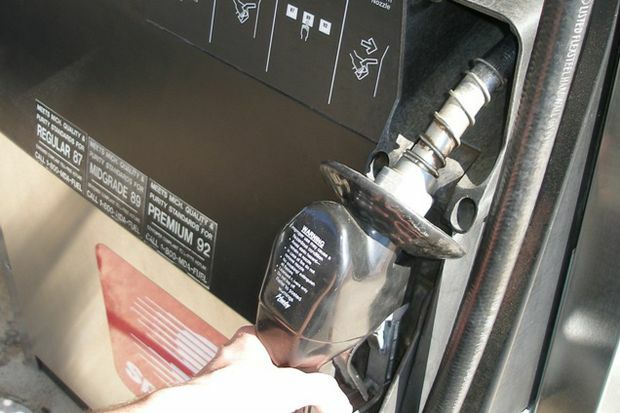 Gas prices in Lockport area fell by seven cents this week to $2.424 per gallon, according to AAA East Central’s weekly Gas Price Report. Slowly, but steadily, national gas prices have dropped for seven consecutive days. Today’s national average price for regular unleaded gasoline is $2.35 per gallon, which is four cents less than one week and one month ago, but 14 cents more than the same date last year. Last week, 46 states saw prices drop – some by at least 9 cents – with prices remaining steady in other parts of the country. The trending decline is due to an unseasonable glut of gasoline in the U.S. market, record high refinery production rates, moderate demand, and a recent drop in crude oil prices. Like most parts of the country, drivers in the Mid-Atlantic and Northeast are seeing regional gasoline supplies surpass demand. New York ($2.53) held its place on the list of the country’s top 10 most expensive markets. Other states saw prices remain stable or experienced small fluctuation. On Monday morning, U.S. petroleum futures were below $50 per barrel, but they have gained slightly after encouraging remarks from the Russian and Saudi Arabian energy ministers over the weekend. The energy ministers stated that there is budding consensus to extend production cuts beyond the June 30 deadline and into 2018, signaling that OPEC and non-OPEC producers are willing to take necessary steps to rebalance the market. The U.S. rig count is now up a whopping 375 oil rigs when compared to last year’s count at this time. Continued increases in the supply and exploration of crude will certainly counter OPEC’s efforts to rebalance the market. Only time will tell if supply restrictions and rising demand will shorten the oversupply – and ultimately lead to higher retail prices at the pump. AAA East Central is a not-for-profit association with 81 local offices in Kentucky, New York, Ohio, Pennsylvania and West Virginia serving 2.7 million members.